Chaz Ebert, the widow of film critic Roger Ebert, is teaming up with Shatterglass Films to produce a biopic about Emmett Till, the young boy who was killed in Mississippi in 1955. 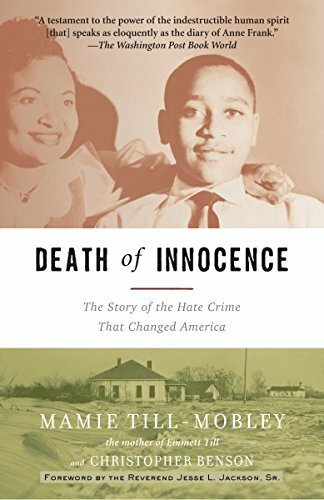 The film will be based on Death of Innocence: The Story of the Hate Crime That Changed America by Till’s mother, the late Mamie Till-Mobley and Christopher Benson. It was nominated for the 2004 Pulitzer Prize and tells the story of Till’s murder at the hands of two white men after he allegedly whistled at a white woman. Till was only 14 when he was killed. The book looks at how the crime was covered at the time and how it ultimately led to the Civil Rights Movement. According to TheWrap, Shatterglass’ Luke Boyce, Brett Hays and Jen Shelby and Benson are the producers. Ebert will executive produce with Nate Kohn. “The full Emmett Till story needs to be told now and told well as a narrative for our times, given all that is happening on American streets today, and Shatterglass Films are the people to tell it,” Ebert said in a statement posted at Deadline. Filming will take place next year.